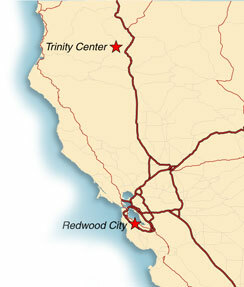 With offices located in Redwood City and Trinity Center, California, G.T. KELLY & COMPANY provides an array of financial services in the San Francisco Bay Area as well as the North State (Trinity, Shasta, Humboldt, Tehama, Siskiyou and Butte counties). For over 35 years, we have represented business owners, real estate investors and individuals. That experience, combined with our extensive knowledge and skills, enables us to provide a uniquely personal and creative service. While accounting and tax preparation services are historical, the true value of what we provide is to utilize that history to implement a plan for the future. © 2006, G.T. KELLY & COMPANY. ALL RIGHTS RESERVED.